Days Inn Calgary North Balzac Hotel Blog: Calgary: the home of Christmas Spirit! Calgary: the home of Christmas Spirit! Here in Calgary, snow’s on the ground, there’s a chill in the air, and we’re all getting ready to for that very special time of year – Christmas! Come to Calgary this December if you’re looking to get into the holiday spirit. Visiting Calgary’s Heritage Park is like travelling through time. Designed to reflect what life was like in Calgary in the 19th Century, it’s filled with historic structures and attractions! This December, visit Heritage Park to take part in Once Upon a Christmas! Take a horse-drawn carriage around the park, go carolling, enjoy fresh baked goods, visit Santa and so much more! A must-see every year, Theatre Calgary’s annual production of A Christmas Carol is always a fantastic way to get into the holiday spirit! Join Ebenezer Scrooge as he is taken on a tour of Christmases past, present, and future! Local star actor Stephen Hair reprises his role as the curmudgeonly Scrooge for the 25th year, and all that experience shows! This is a tremendous stage show that you will love. It’s A Wonderful Life is synonymous with the Christmas season. The classic film by Frank Capra follows George Bailey. a man with a heart of gold who comes to suspect that the world would be better off without him – until he is given a tour of what that would be like by his guardian angel, Clarence Odbody. This heartwarming classic will be performed as a live radio play by the talented performers of Calgary’s Lunchbox Theatre throughout December – don’t miss it! 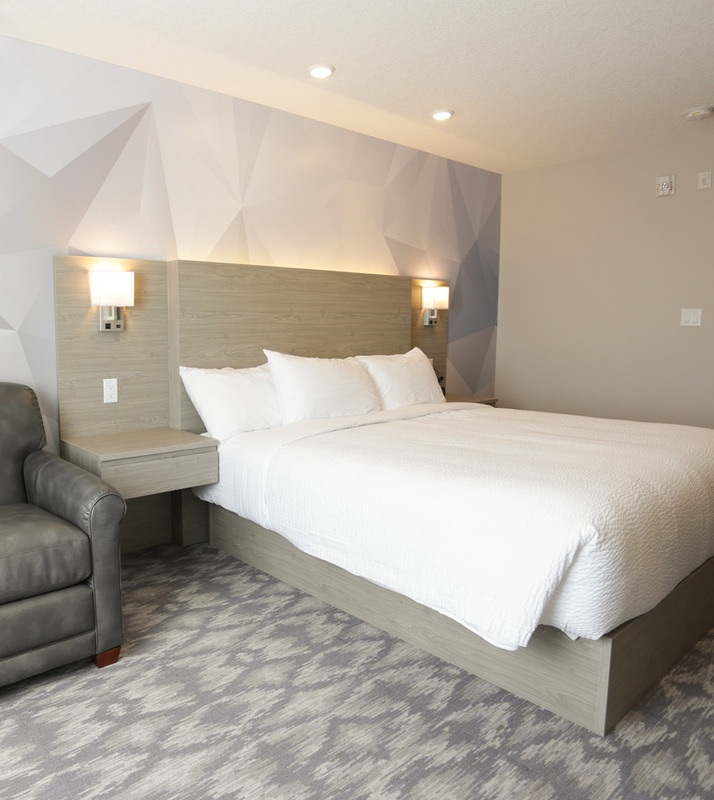 Whether you’re looking to find that holiday spirit or just passing through for work, you’ll find superior accommodations at the Days Inn Calgary North Balzac. Our comfortable rooms, complimentary pool and Daybreak Café breakfasts make for a great stay – and we’re close to Calgary’s largest mall so you can get your Christmas Shopping done early! Book your room today.